Tablet Extended Warranty Protection Plan - 3 Months FREE! I see you looking at our tablet extended warranty. You’re a modern person. You like to have a portable computer everywhere you go. Maybe you’re working on your next novel. Maybe you need a big screen to catch up on your favorite show on your morning commute. Maybe you just really like playing Angry Birds. Whatever the reason, we’ll help make sure your tablet is covered. Our tablet plan provides either two or four years of extended warranty coverage, starting after the 1st year of your manufacturer’s warranty is over. Our standard plan includes hardware failure, so if any of the internal machinations of your tablet fail, we’ll fix it for you. For refurbished tablets that have a shorter 30-90 day warranty, our contract starts the date you purchase your tablet, with coverage starting as soon as your 30-90 day warranty is over. Our standard tablet warranty does not cover damage of any kind. But maybe you’re looking for something more. 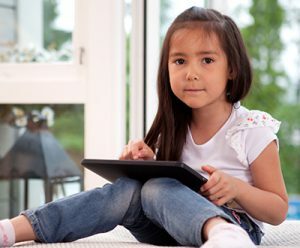 Maybe you’re looking to insure your kid’s tablet, you know, the one that gets dropped every two minutes, and has what you think is jam all over the screen. We’ve got you covered with our accidental plan. Our accidental plan covers drops under six feet and spills on your tablet. Dropped your tablet? That’s covered. Left your tablet a little too close to the wet ingredients while baking a cake? That’s covered too. For our accidental plans, our contract starts the day you purchase your tablet, with coverage starting on day 31 when most store’s return policy ends. These plans do not cover intentional damage, full submersion under water, or lost and stolen tablets. So when you’re looking at purchasing your next tablet, check with your dealer to see if they offer our warranty. If they do, you can purchase it, and rest easy knowing your tablet is ready for anything life may throw its way. What does the CPS standard tablet warranty cover? Our standard tablet warranty covers 100% of the parts and labor used in the repairs of your tablet. The warranty also covers surges, and all internal hardware failure, so long as it is not caused by accidental damage. This warranty is applicable to iPads, Kindles, Nooks, and more! I have a manufacturer’s warranty on my tablet, when does my coverage start? Your warranty contract and coverage begins after the first year of your manufacturer’s warranty ends. I bought a refurbished tablet, when does my coverage start? For refurbished tablets with a 30-90 day warranty, our contract starts the date you purchase your tablet, with coverage beginning as soon as the 30-90 day warranty ends.